UPSC CAPF Jobs Recruitment Notification 2019.Union Public Service Commission (UPSC CAPF ) inviting applications for the positions of Assistant Commandant.Interested and Eligible candidates can apply for the positions. Postulants who have qualified Bachelor’s degree from any recognised university can apply. UPSC CAPF 2019 Age Limit lies in between 20 to 25 years. That means Contenders those who have not born before 02nd August 1995 and not later 01st August 199 can apply. In order to attend the CAPF Exam 2019 candidates must possess physical standards given in the notification pdf. As per the UPSC norms, selected candidates for UPSC CA post will get monthly income. The selection of candidates would be based on the marks scored in the Central Armed Police Forces (CAPF) Examination, Personal Efficiency Test and Interview session. The UPSC CAPF AC Exam 2019 Date is announced to conduct on 18th August 2019. Candidates may apply for UPSC CAPF Assistant Commandant Recruitment 2019 through ONLINE mode. From 24th April 2019 to 20th May 2019 contender can fill their UPSC CA Application Form. Click on the CAPF CA Notification 2019 PDF. Upload all the essential documents as per dimensions. Application fee for Gen/ OBC applicants is Rs.200/- and there is no fee for Female/ SC/ST category participants. Date of Central Armed Police Forces (Assistant Commandants) Exam: 18th August 2019 (Sunday). BHEL Jobs Recruitment Notification 2019.Bharat Heavy Electricals Limited inviting applications for the positions of Engineer and Supervisor Posts.Interested and Eligible candidates can apply for the positions. 35 years. 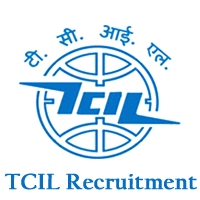 For age relaxation BHEL Hyderabad Supervisor Recruitment 2019 Notification. Bharat Heavy Electricals Limited Hyderabad Officials are going to conduct the Interview as part of the Selection process. Central Railway Jobs Recruitment Notification 2019.Central Railway inviting applications for the positions of Controller.Interested and Eligible candidates can apply for the positions. Re-engagement of Retired staff on monthly remuneration basis in exigencies services on Mumbai division, Central Railway,In terms of Railway Board's letter no. E(NG)11/2007/RC-4/CORE/1 dated 16.10.2017 it has been decided to till up following vacancies in Mumbai Division by re-engagement of Staff . who have retired from Mumbai Division, Central Railway. c. The Re-engaged employee will not be eligible for any kind of leave For absence if any, appropriate deduction will be made from the monthly remuneration. Suitability / Competency of the applicant shall be adjudged by nbminated committee before their re-engagement.The duty hours of the re-engaged employees would be 9.30 hrs to 18.00 hrs. The duty can be changed as per the requirement of works by the administration with weekly off for one day. Copy of any of the following documents should be attached with the application & it is Mandatory. 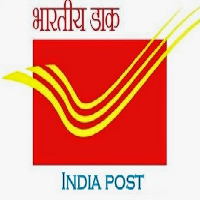 g. Service certificate h. Pensioner Identity Card i.Pension Payment Order 15.The last date for subn.lYion of the application is 15.05.2019. Staff retired front Mumbai Division Central Railway desirous for re-engagement , have to submit their applications in the prescribed format in the box kept in P/General Section of this office on or before 15.05.2019. 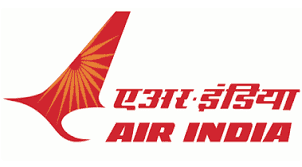 AIATSL Jobs Recruitment Notification 2019.Air India Air Transport Services Limited, AIATSL inviting applications for the positions of Security Agent.Interested and Eligible candidates can apply for the positions. b. Candidates who are Graduates in any Discipline (without Basic AVSEC and/or Screener Certificate):Graduate in any discipline (minimum 3 years duration) from a recognized University with ability to speak Hindi, English and conversant with local language. In case of Ex- Servicemen - who are Graduates, having a service record of minimum 15 years in the Armed Forces and who have been honorably discharged from the services during the preceding two years, age relaxation will be given as per rules. c. Preferable: NCC ‘B’/ ‘C’ Certificate. Proficiency in fire fighting. Knowledge of Industrial security. Knowledge in Disaster Management. Knowledge of unarmed combat. Legal Knowledge. Armed forces/Police back grounds. Diploma/Certification course in Computers. Age: For AVSEC Qualified Candidate: General / EWS : Not above 31 years, SC/ST : Not above 36 years. OBC : Not above 34 years. Candidates who are Graduates in any Discipline ( Non-AVSEC Qualified Candidates) - General / EWS : Not above 28 years, SC/ST : Not above 33 years. OBC : Not above 31 years. Application Fee: Candidates are also required to bring an A/c Payee Demand Draft for an amount of Rs. 500/- (Rupees Five Hundred only) in favor of Air India Ltd., payable at DELHI, as non- refundable Application Fee (Not applicable for SC/ST/Ex SM). Please mention your Full Name and Mobile number on the reverse of the Demand Draft. (a) For AVSEC and/or Screener Certificate Candidates : Candidates who are Graduates and holding valid Basic AVSEC and/or Screener Certificate would be required to undergo only Professional Competency Assessment on the same or next day after document verification. There will be no Physical Endurance Test (PET) and Written test for these candidates. (b) Candidates who are Graduates in any Discipline (Non- AVSEC and/or Screener Certificate Candidates): Candidates who are Graduates will have to undergo a Physical Endurance Test (PET) comprising running of 100 meters in 16 seconds OR 1000 meters in 4.5 minutes as opted by the candidates, on the same day / following day(s). A relaxation of 6 seconds will be given to female candidates for running of 100 meters in Physical Endurance Test (PET). The PET will be an elimination round although no weightage will be given to PET for preparing Final Result. 1. Candidates meeting the eligibility criteria as on 01.04.2019, are required to register themselves Online only by filling the ONLINE Application Form. The Candidate should come at the venue mentioned above on 09.05.2019 with the printouts of ONLINE Application Form (available on the Company web-site www.airindia.in) along with all Original Certificates/Testimonials mentioned in CHECKIST at the end in support of Date of Birth, Educational Qualification, NCC Certificate, Doctor’s Certificate for height and weight, Caste Certificate (for SC/ST/OBC Candidates), Discharge Certificate (for Ex-Servicemen), Experience Certificate (if any) with 4 recent passport size photographs. Candidates would also be required to furnish self-attested copies of all the certificates/ testimonials as mentioned above. 2. For Candidates belonging to OBC category: The category certificate should be in the prescribed format including the “Non-Creamy layer clause” issued by the Competent Authority for employment under Government of India and should be as per the Central list of OBC’s published by the Govt. of India. Please also note that the validity of the “Non-Creamy layer should not be older than 6 (six) months from the date of the eligibility i.e. 01.04.2019. 3. A recent (not more than 3 months old) colored passport size photograph of the full face (front view) should be pasted neatly with the Online Application Form. Candidates working in Government/Semi-Government/Public Sector Undertakings or autonomous bodies, must walk-in with the completed Online Application Form routed through proper channel or along with “No Objection Certificate” from their present employer. 4. Candidates belonging to Economically Weaker section (EWS) category need to get an “Income and Asset certificate” from the concerned Government Authority. Date, Venue and Time of walk-in selection: Date: 09.05.2019 TIME 0830 HRS To 1100 HRS. Venue: Delhi Public School Athwajan, Srinagar, Kashmir (J & K) 190004. Indian Army Jobs Recruitment Notification 2019.Indian Army inviting applications for the positions of Soldier GD (Women Military Police).Interested and Eligible candidates can apply for the positions. Last Date for Submission of Application is on June 08th, 2019. Weight (KG) - Proportionate to height and age as per Army medical standards. UHSR Jobs Recruitment Notification 2019.Pandit Bhagwat Dayal Sharma University of Health Sciences Rohtak (PGI Rohtak) inviting applications for the positions of Group C.Interested and Eligible candidates can apply for the positions. Staff Nurse - 10th passed or it’s equivalent and Certificate in General Nursing and Midwifery from a recognized INC. Should be registered A-Grade Nurse and Midwife with Haryana Nurse Registration Council. Steno-Typist - Graduate from a recognized University with 80 wpm speed in English Shorthand and ability to transcribe it at the speed of 15wpm. 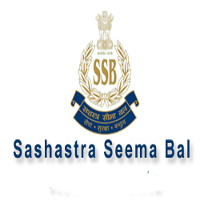 Laboratory Technician - B.Sc. in Medical Laboratory Technology from a recognized University. Operation Theatre Technician - B.Sc. in Operation Theatre Technology from recognized University. Bharat Petro Resources Limited Jobs Recruitment Notification 2019.BPRL inviting applications for the positions of Geologist, Drilling Engineer & Other.Interested and Eligible candidates can apply for the positions. Last Date for Submission of Application is on June 15th, 2019. Geologist:- Master degree in Geology or Applied Geology from. Institute/college and university / Deemed University duly recognized by AICTE / UGC. Experience:- Fresher’s and experienced professionals with 0 – 7 yrs. of work experience in upstream oil & gas industry. Geophysicist:- Master degree in Geophysics or Applied Geophysics from. Institute/college and university / Deemed University duly recognized by AICTE / UGC. Petrophysicist:- Bachelors in Petroleum Engineering or Master Degree in Geology or Geophysics from. Institute/college and university / Deemed University duly recognized by AICTE / UGC. Experience:- Professionals with work experience of 7 – 15 years will be considered having relevant experience in upstream oil & gas industry. Drilling Engineer:- The candidate should hold a Graduate Engineering degree in Petroleum/ Mechanical Engineering from institution/college and university / Deemed university duly recognized by AICTE/ UGC. Experience:- Fresher’s and experienced professionals with 0 – 3 yrs. of work experience in upstream oil & gas industry in Drilling Engineering. Experience:- 1. Professionals with 4 – 11 yrs. of work experience will be considered having relevant experience in upstream oil & gas industry in Drilling Engineering. Candidates having valid IWCF – Supervisory level certifications will be preferred. Reservoir Engineer:- Bachelor’s or higher engineering degree in petroleum engineering or petroleum technology or applied petroleum engineering from institution/college and university / Deemed university duly recognized by AICTE/ UGC. Experience:- Freshers or Professionals with 0 – 7 yrs. of work experience will be considered having relevant experience in upstream oil & gas industry in Reservoir Engineering. Production Engineer:- 1. Bachelor’s or higher engineering degree in Petroleum Engineering or Petroleum Technology or Applied Petroleum Engineering or Mechanical Engineering or Chemical Engineering from institution/college and university / Deemed university duly recognized by AICTE/ UGC. Industry coursework which includes artificial lift, process simulation, well stimulation, EOR, reservoir flooding, and process facilities will be preferred. Experience:- Freshers or Professionals with 0 – 7 yrs. of work experience having relevant experience in upstream oil & gas industry in Production Engineering. Facilities Engineer:- Bachelor’s or higher engineering degree in Mechanical/ Electrical / Petroleum engineering or petroleum technology from institution/college and university / Deemed university duly recognized by AICTE/ UGC. Experience:- Professionals with 7 – 15 yrs. of work experience will be considered having relevant experience in upstream oil & gas industry in Facilities engineering. Business Development & MIS:- 2 years full-time MBA in Finance/International Business with bachelor’s degree preferably in Petroleum/Mechanical/Electrical engineering from institution/college and university / Deemed university duly recognized by AICTE/ UGC. Experience:- Fresher’s and experienced professionals with 0 – 7 yrs. of work experience will be considered having relevant experience in upstream oil and gas industry in a business development role. Senior/Chief Finance Manager:- Passed the final exam of Chartered Accountancy course of ICAI. Experience:- Professionals with 10 – 19 yrs. of work experience will be considered in having relevant experience in upstream oil & gas industry. Assistant Manager/ Manager Finance:- Passed the final exam of the Chartered Accountancy course of ICAI. Experience:- Professionals with 4 – 11 yrs. of work experience will be considered having relevant experience in upstream oil & gas industry. Senior/Chief Audit Manager:- Passed the final exam of Chartered Accountancy course of ICAI. Experience:- Professionals with 10 – 19 yrs. of work experience will be considered having relevant experience in upstream oil & gas industry. Prior experience in Internal Audit is desirable. Assistant Manager/Manager Audit:- Passed the final exam of the Chartered Accountancy course of ICAI. Eligible candidates may apply online at BPRL‘s website (direct link is given below) from 01st May 2019 to 15th June 2019. 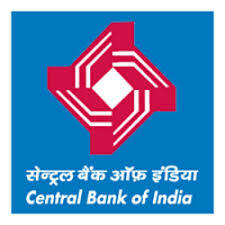 Central Pollution Control Board Jobs Recruitment Notification 2019.CPCB inviting applications for the positions of Junior Research Fellow.Interested and Eligible candidates can apply for the positions. Walk-in Date & Time:- 03rd May 2019 at 09:30 AM. Assistant Professor:- Post Graduate (PG) Degree in Science in Chemistry, Organic Chemistry, Analytical Chemistry, Biology, Zoology/Life Science, Environmental Science with Data Management with NET Qualification OR Graduate Degree in Engineering in Civil, Electronics and Telecommunication Environmental, Chemical, Computer Science/IT, with GATE Qualification OR Post Graduate Degree in Engineering in Civil, Environmental, Chemical, Information Technology. Max- 28 Years and 5 years relaxable for SC/ST/OBC/Person with disability (PWD) and for Women candidates. Eligible candidates may appear for interview along with duly filled application form in the prescribed format (attached below) and self-attested copies of the following documents and original documents for verification. Mark Sheet and Degree Certificates for Educational Qualifications. Experience Certificate from the employer, if any. Broadcast Engineering Consultants India Limited Jobs Recruitment Notification 2019.BECIL inviting applications for the positions of Multi Tasking Staff, Electrical Engineer, etc.Interested and Eligible candidates can apply for the positions. 1. Qualification/Experience: Must have passed 10th standard and physically active. 2. Monthly Remuneration: Minimum rates of wages prescribed by National Capital Territory Delhi, Government of Delhi. Application Fee: Non-refundable registration fee of Rs.500/- (Rupees Five Hundred Only) for General and OBC candidates and Rs.250/- (Rupees Two Hundred Fifty only) for SC/ST/PH candidates. 1. Qualification/Experience: Must possess a Diploma/Degree in Electrical Engineering from a Govt. Recognized Institute and should have minimum 10(Ten) years of working experience in Electrical Works pertaining to Civil Engineering Projects. 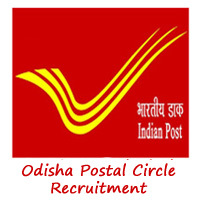 Or An Officer Assistant Engineer (Electrical)/Junior Engineer (Electrical) retired from an analogous post in Central/State Government/PSUs and below the age of sixty-five years and having suitable qualifications and experience. The remuneration shall be as per extant rules and regulations of the Central Government on the subject. Preference shall be given to retired officers. 2. Monthly Remuneration: Between Rs.30,000/- to Rs.35,000/- per month based on the qualification and experience of the individual. 1. Qualification/Experience: Must possess Diploma/Degree in Civil Engineering from a Govt. 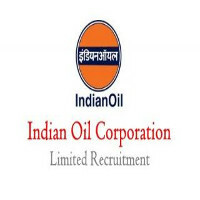 recognized institute and should have minimum 10(Ten) years of working experience in construction and management of Civil Engineering Projects Or An Officer Assistant Engineer (Civil)/Junior Engineer (Civil)/ retired from an analogous post in Central/State Government/PSUs and below the age of 65 years and having suitable qualifications and experience. The remuneration shall be as per extant rules and regulations of the Central Government on the subject. Preference shall be given to retired officers. 2. Monthly Remuneration: Between Rs.35,000/- to Rs.40,000/- per month based on the qualification and experience of the individual. BECILs Corporate Office: C-56, A/17, Sector-62, Noida -201307. Selection will be made as per prescribed norms and requirement of the job. No TA/DA will be paid for attending the test/interview or joining the duty on selection. Preference shall be given to retired officers. Bangalore Metro Rail Corporation Limited Jobs Recruitment Notification 2019.BMRCL inviting applications for the positions of Graduate Engineer.Interested and Eligible candidates can apply for the positions. 1. Minimum Educational Qualification: BE / B.Tech in Civil Engineering. Knowledge of Kannada in all the four attributes viz., reading, speaking, writing & understanding is compulsory. Knowledge of Kannada will be tested at the time of document verification. Those who do not have knowledge of Kannada will be disqualified irrespective of the marks scored in the written test. 2. Eligibility Criteria: Must have secured minimum 60% marks in Civil Engineering Degree and minimum 60 percentile in GATE 2019. Knowledge of Kannada is essential. 3. Duration: The tenure of contract appointment will be initially for a period of 2 (two) years. The contract of appointment may be terminated by either side by giving 3 months notice or by paying the contractual remuneration of three months in lieu of notice period if the circumstances so warrant. 1. Women candidates may note that duties in the Company may be arduous in nature and require working in the project site and during late hours. 2. Any subsequent changes in the terms and conditions of this Employment Notification as per extent rules will stand good. BMRCL reserves the right to consider/incorporate any subsequent changes/modifications/additions in the terms & conditions of recruitment under this Employment Notification as necessitated and applicable. 3. Candidates should note that the Date of Birth as recorded in the Matriculation/High School Examination Certificate or equivalent Certificates as on the date of submission of applications will only be accepted. 4. Candidates who have been shortlisted will only be called for document verification, before considering their candidature for an appointment. The candidates will have to appear for document verification at their own cost. 5. Any canvassing by or on behalf of the candidates or to bring political or other outside influence with regard to selection/appointment shall be a disqualification. The selection will be made strictly as per merit, on the basis of Gate 2019 score. Shortlisted candidates will be called for verification of the original documents and Kannada test. If equal GATE score is obtained by two or more candidates, then the age of the candidate will be taken into consideration for preparing the merit list. The elder candidate will be shown as a senior in the merit list. 1. Eligible candidates may fill in the application online, take a print out of the same and forward along with relevant documents in support of qualification. Such applications may be addressed to the General Manager(HR), Bangalore Metro Rail Corporation Limited, III Floor, BMTC Complex, K.H.Road, Shanthinagar, Bengaluru 560027 superscribing the envelope as “Application for the post of Graduate Engineers ”. The last date for receipt of hard copy of the application is 4.00 PM of 06.05.2019. 2. 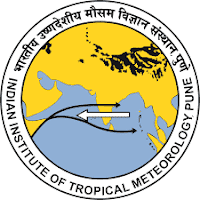 Last Date for Submission of Application has been extended up to 4:00 PM on 06/05/2019. Geological Survey of India Jobs Recruitment Notification 2019.Geological Survey of India (GSI) under the Ministry of Mines inviting applications for the positions of Ordinary Grade Drivers in the filed areas of Southern Regions namely Andhra Pradesh, Telangana, Karnataka, Goa, Tamil Nadu, Kerala & Puducherry.Interested and Eligible candidates can apply for the positions. Last Date for Submission of Application is on June 22nd, 2019. The number of Ordinary Grade Driver, General Central Service Group C Non- Ministerial jobs to be filled in Geological Survey of India are 37. Candidates those who cleared the matriculation or its equivalent examination from a recognised board can apply. Aspirants must have a Driving License for Light Motor Vehicles (LMV) & Heavy Motor Vehicles (HMV) and should have three years experience in driving trucks, jeeps or tractors. Upper age limit for GSI Vacancy Postulants is 25 years and 40 years for departmental candidates. Age relaxation for applicants is as per department norms. In the pay level 2 of Rs.19,900-63,200/- selected candidates as Ordinary Driver will get monthly income. Candidates recruitment will be done through open competitive examination by conducting trade test (Practical and Written). The genuine dates of conducting trade test are not known. Mode of applying for GIS Driver Recruitment 2019 through OFFLINE. Within 60 days, i.e by 22.06.2019 candidates can submit applications. For the applicants belonging to the Northen States, they have to submit applications within 90 days from the date of releasing employment news. In the useful links session, we provided you with the application form link which you have to dully fill it and send to the below-given address. The Additional Director General, Geological Survey of India, Southern Region, GSI Complex, Bandlaguda, Hyderabad – 500068. UIDAI Jobs Recruitment Notification 2019.Unique Identification Authority of India, UIDAI inviting applications for the positions of Private Secretary.Interested and Eligible candidates can apply for the positions. Unique Identification Authority of India (UIDAI)„ RO Delhi invites applications for filling up of 02 (two) posts of Private Secretary(PS) in the Pay Matrix Level -8 (pre-revised Pay Band II Rs. 9300-34800 plus Grade Pay of Rs. 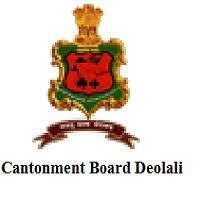 4800/-) on deputation basis in its office located at Delhi from amongst suitable and eligible officers. 1. Eligibility: Officers of the Central Government, State Government, Autonomous Bodies, PSUs:- Holding analogous post in the parent cadre in the same Pay Matrix Level -8/ pre-revised pay band-I1 (Rs. 9300-34800 + GP 24800) or equivalent. OR Having two years of regular service in the pay matrix Level -7/ pre-revised Pay band —II of (Rs. 9300 – Rs.34800 plus Grade pay of Rs. 4600/-) or equivalent. OR Having five years of regular service in the pay matrix Level -6/ pre-revised Pay band —II of (Rs. 9300 – Rs.34800 plus Grade pay of Rs. 4200/-) or equivalent. 2. Desirable Qualification/Experience: Good Stenographic and Typing Skills. Proficiency in handling computers with Excellent Computer Skills. 3. Period and other terms and conditions of deputation The initial period of deputations shall be for three years extendable by a further period of two years as per Department of Personnel & Training O.M No. 6/8/2009-Estt. (Pay-II) dated 17.06.2010. The terms and conditions of deputation will be governed by the DoP&T's aforementioned O.M of 17.06.2010 and Government of India's instruction issued from time to time on the subject. Age: The maximum age limit for appointment on deputation shall not exceed 56 years a on the closing date of receipt of application. The Applications Of Suitable And Eligible Officers Complete In All Respect, In The Prescribed Format 5. (Annexure-i, Alongwith Documents Listed In Para 3 And 4 Above May Be Forwarded To ADG(Admn), Unique Identification Authority Of India (Uidai), RO Delhi, Ground Floor, Pragati Maidan Metro Station, Pragati Maidan, New Delhi - 110001. The Last Date For Receipt Of Applications Complete In All Respect Is 31 May 2019. Candidates Who Apply For The Post Will Not Be Allowed To Withdraw Their Candidature Subsequently. Since This Vacancy Is To Be Filled Up On Deputation Basis, Private Candidates Are Not Eligible. JPSC Jobs Recruitment Notification 2019.Jharkhand Public Service Commission inviting applications for the positions of Assistant Professor.Interested and Eligible candidates can apply for the positions. After applying online applicants need to send the hard copy/print out of online application form along with all relevant documents to the Office of Jharkhand Public Service Commission, Jharkhand. The application with all relevant documents should reach on or before 24 May 2019 till 06:00 PM.